The two members of male K-pop idol group J-Walk (제이워크), Chang Su-Won (장수원) and Kim Jae-Duk (김재덕), officially make a comeback. 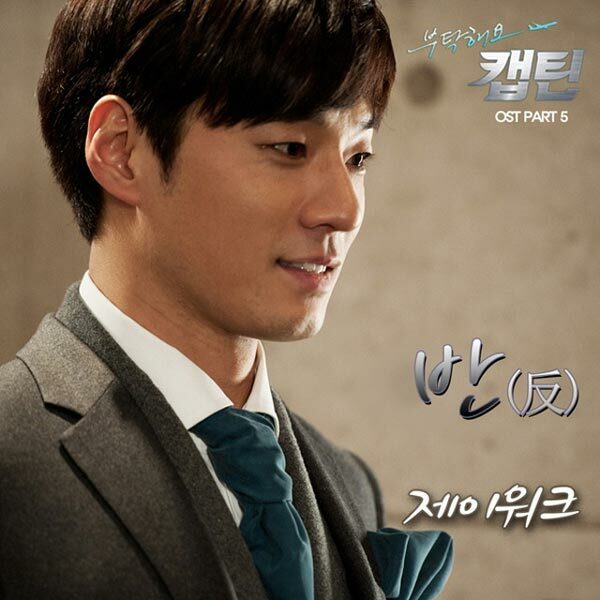 On March 1st, 2012, J-Walk is releasing the 5th original soundtrack (OST) for SBS drama series Take Care of Us, Captain (Please, Captain), with the title of Against [반(反)]. This is first work of J-Walk since discharged from the army, and is also the first participation in OST since the group is formed. The song of Against depicts Kang Dong Soo (Lee Chun Hee) is suffering facing with unrealizable love for Han Da Jin (Ku Hye Sun), and he silently looks at the woman he loves and prays that she will be happy, demonstrating the heart-wrenching melody for Lee Chun Hee. The song is produced by Lee Jae Kyu who also produced various OSTs for Over the Rainbow, Gourmet, The Kingdom of the Winds and etc. The song is debuting in the drama in episode 17. The name of the song, Against, can also be translated as Anti, Reverse, Opposite, Contrary and etc. Incorrect translation includes Half, Semi and etc. Listen to Against [반(反)] at YouTube. Can I peacefully rest? Can I love?